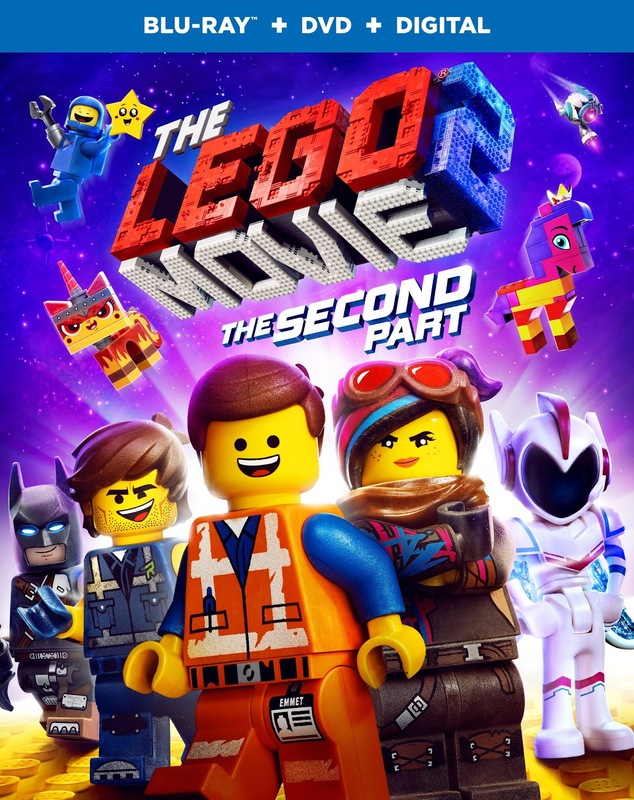 "It’s time to go where no brick has gone before when “The LEGO® Movie 2: The Second Part” arrives on 4K UHD Combo Pack, Blu-ray Combo Pack, DVD Special Edition and Digital. 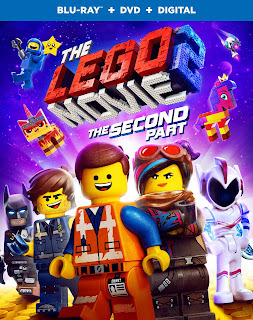 The much-anticipated sequel to the critically acclaimed, global box office phenomenon that started it all, “The LEGO® Movie 2: The Second Part” reunites the heroes of Bricksburg in an all new action-packed adventure to save their beloved city. Reprising their starring roles from the first film are Chris Pratt (“Guardians of the Galaxy,” “Jurassic World”) as Emmet; Elizabeth Banks (“The Hunger Games” movies, “Love & Mercy”) as Lucy, aka Wyldstyle; Will Arnett (“The LEGO® Batman Movies,” TV’s “Arrested Development”) as LEGO Batman; Alison Brie (TV’s “GLOW,” TV’s “Community”) as Unikitty; Nick Offerman (“Fargo,” TV’s “Parks and Recreation”) as MetalBeard; and Charlie Day (the “Horrible Bosses” movies, TV’s “It’s Always Sunny in Philadephia”) as Benny. They are joined by Tiffany Haddish (“Girls Trip,” “Keanu”) and Stephanie Beatriz (“Short Term 12,” TV’s “Brooklyn Nine-Nine”) as new characters Queen Watevra Wa'Nabi and General Mayhem, respectively, and Maya Rudolph (“Bridesmaids,” TV’s “Big Mouth”), as Mom. · Everything is Awesome Sing-along – Sing-along, trivia, games and more! *Digital movies or TV episodes allow fans to watch a digital version of their movie or TV show anywhere, on their favorite devices. Digital movies or TV episodes are included with the purchase of specially marked Blu-ray discs. With digital, consumers are able to instantly stream and download movies and TV shows to TVs, computers, tablets and smartphones through retail services. For more information on compatible devices and services go to wb.com/digitalmoviefaq. Consult a digital retailer for details and requirements and for a list of digital-compatible devices."